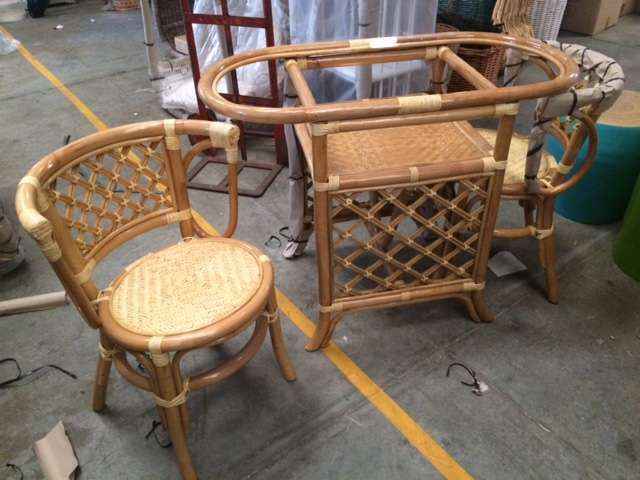 The Honeymoon dining suite is designed for two people, made from a mix of wicker and rattan. This is a compact design for a small area that incorporates 2 chairs and an oval table, when pushed together it takes up no more space than just the table. Perfect for balconies, apartments and smaller areas. 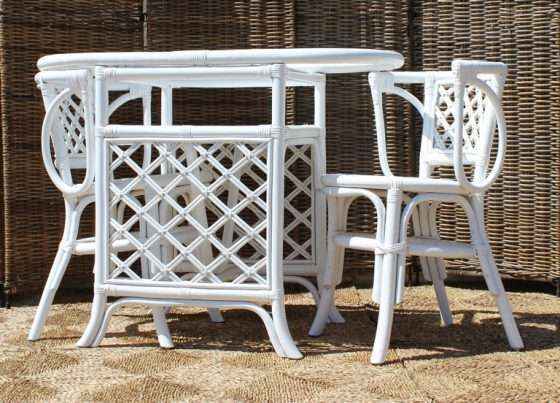 Our Honeymoon dining suites are available in white and natural, they include glass. 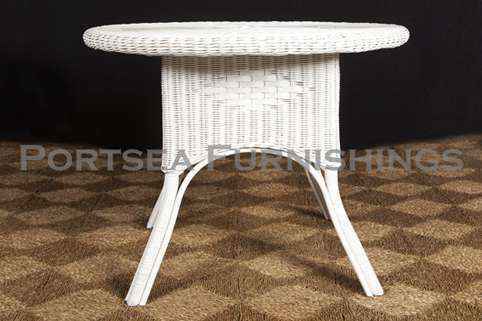 We also have round dining table as well, designed for 4 to 6 people, available in white, natural, chocolate and antique grey. Two sizes 100 and 120cm diameter. 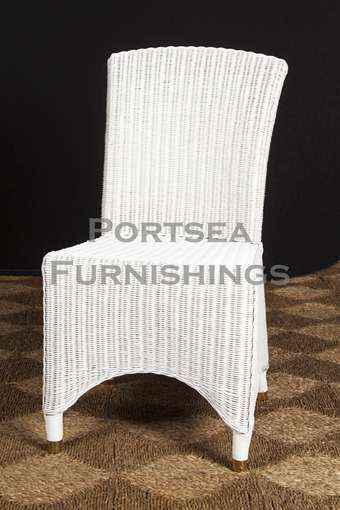 PRICE $620.00 DIMENSIONS:100 x 50 x 75cm H Please note: Large furniture orders may require a shipping quote or adjustment – we will contact to confirm delivery for these purchases. If you have any questions contact us.